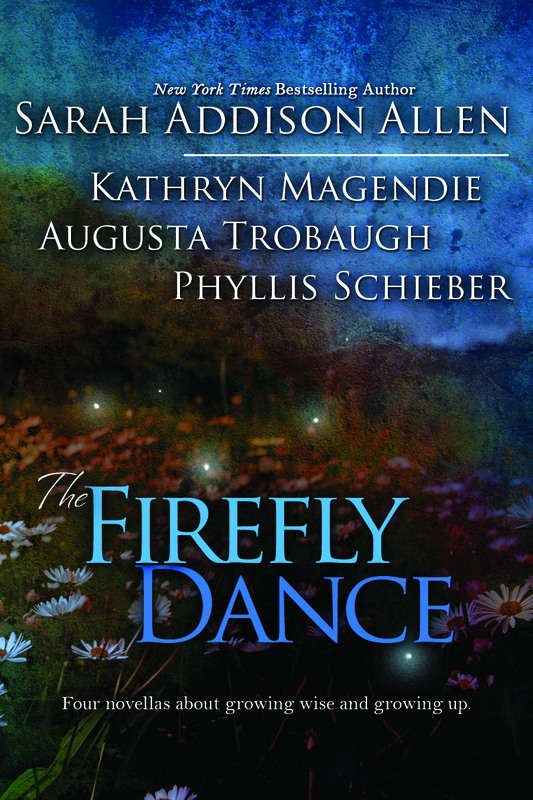 The title itself of this collection of novellas and short stories, The Firefly Dance, evokes an image of a warm summer evening—beautiful and breezeless, fireflies flittering in the dusk like jewels against a velvet sky. And like that quintessential summer scene, this unique collection brought me smiles, magical wonderment and even a few tears. Sarah Addison Allen’s In My Dreams was the first novella I read--and the reason I snagged this collection from the library. I had read all of her novels with the exception of this one, and I couldn't bear to skip this one. I dove into it expecting a luscious read. Luscious does begin to express the beauty of In My Dreams. This lovely tale told in the voice of Louise about her, her mother, her great aunt Sophie and a rich array of characters including her dog Lazarus that she seemingly brought back from the dead. I loved Great Aunt Sophie who drank her Coca-Colas as if it were champagne and kept her hair permed to curls tight against her head with a roundness that brings to mind Christmas peppermints. Great Aunt Sophie was like a rock in her magical family: strong and steadfast. I knew arguing with her would be like throwing a stone up to try to hurt the sky. She was that vast and unshakeable. It is through Louise’s eyes that I learned about her family’s complex past. The stories flow from the characters who give her life texture and show her the many ways loves comes into her life, teaching and enriching it. The final line exemplifies this and all of Allen’s writing. Then the only thing left is a door full of sunshine. The grim legacy of past atrocities permeates the pages of Phyllis Schieber’s short story The Stocking Store and an excerpt from her novel The Manicurist, which are thematically connected. The survivors of the Holocaust and their children live with the knowledge that their safety exists as a veneer cloaking the reality of past atrocities. I am more surprised to see people without numbers on their forearms than I am to see people with them. But the skin on Toby’s mother’s arm is as thin as parchment. I feel the need to look away from Toby and her mother. The people I know are lively and spirited. It often seems as if they have to make up for everything they lost. The shadow of their past must not dim nor be forgotten; a shift from one generation to the next will carry hope, love and awareness with them and into the future. These themes run through each line of Schieber’s writing. Layer upon layer of lovely, painful, sweet poignancy slowed my reading causing me to pause, imagine and contemplate the value of learning from the past so it will not be allowed to reoccur. In Schieber’s work, knowledge shifts from one generation to the next to carry hope, love and awareness into the future. Her writing solidifies her theme of never forgetting while moving forward. Kathryn Magendie fills the pages of her novella Petey with the humanity of her titular character Petey, her little brother, her father, her mother and their friend Anna to delight and captivate the reader with each new experience. The Graham family’s ties to North Carolina, its mountains, its plants, its animals, its flowing streams and its wonderful people give their life stability. Their Smokey Mountain valley laden with cool mists to them is a dear friend embracing them with love and security. Cracks insidiously wend their way into the foundation of their lives. The textile mill where Petey’s father works lays off its workers, other jobs disappear forcing the family to face a harsh reality. Their idyllic life lovingly created with their own hands, their flourishing garden and their incomparable world falters and falls under grinding change and loss. A house filled with joy, beauty and love faces a harrowing future. To survive they must go work awaits — Texas. The vast, flat, dry Texas landscape is the stage upon which the Graham family must face tragedy, learn to survive and ultimately open their hearts to a world never envisioned by any of them in their beloved North Carolina. Petey will transport you into the heart of the Graham family, their pain and their jubilance. In Augusta Trobaugh’s Resurrection, it’s the boy’s summer before the fall of his sixth grade year. The boy’s father buys a steak each day, insists that the brother who will enter high school in the fall eat it nearly raw as his father observes. The theory is that it’ll beef him up for football tryouts. His mother goes about wiping her face on her apron. The boy wonders if it’s because all the smoke from the steaks she cooks makes her eyes water. His "grandmamma" cares for nothing except her evangelist television programs. No one pays much attention to anything the boy does except for grandmama who casts her eternal query. The boy, whose name is never used, gets to thinking about his grand mamma's obsession with finding Jesus. She shoots out words, "Sin! Hell! Redemption! Grace!" They soar through the air as if she’s a sharp shooter intent on hitting her target. These words prompt the boy to decide that he’ll become like Stanley looking for Dr. Livingston. Since Stanley found Livingston, boy just might find Jesus. The dangerous journey in search of Jesus entails following a scary and mysterious road, trekking through a church cemetery, the creek where those who found Jesus would get their baptismal dunking and most fearsome of all—facing the terrible Tobey family where everything horrible could and did unfold. Jesus isn’t easy to find. The road the boy takes leads him to find a startling incarnation of Jesus resurrected in an oddly strange and colorful way. The Firefly Dance sparkles with stories about growing up, attaining wisdom and discovering the power and strength of individuals and families. I've been reading a lot of short stories and novella-length works lately, but this is one of the best all-around collections I've found. Usually entries vary wildly, but these are each very solid, making it a great pick if you like your fiction in bite-sized quantities.